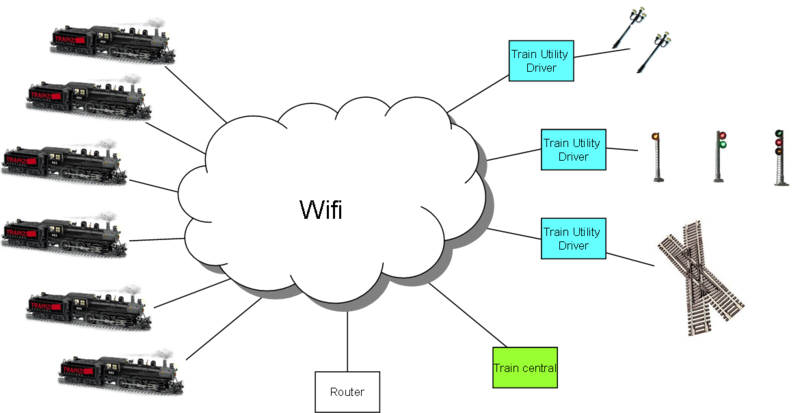 With a small controller in each train I need a standard wireless router, a train central and Train Utility Drivers to have a complete system. I also need a HMI, but I will use the HMI Browser for this. 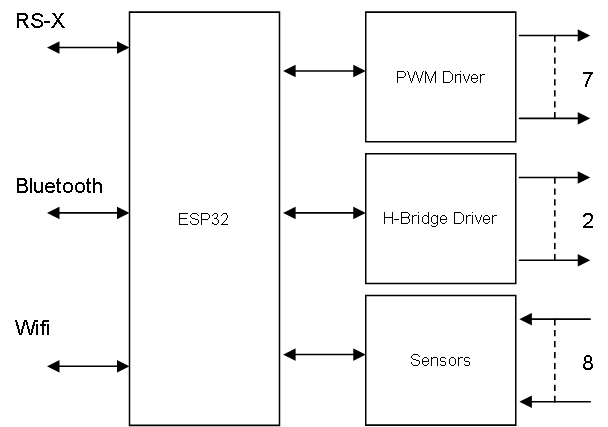 The Utility Driver based on ESP32 (actually ESP WROOM 32) already contains Wifi/Bluetooth. But it is sometimes nice to have wired alternatives to reduce radio density (collisions) so we add RS-X. On the driver side we add an ULN2003 providing 7 PWM channels for lights etc. We ad a few H-Bridges and min 8 input channels for analogue/digital.